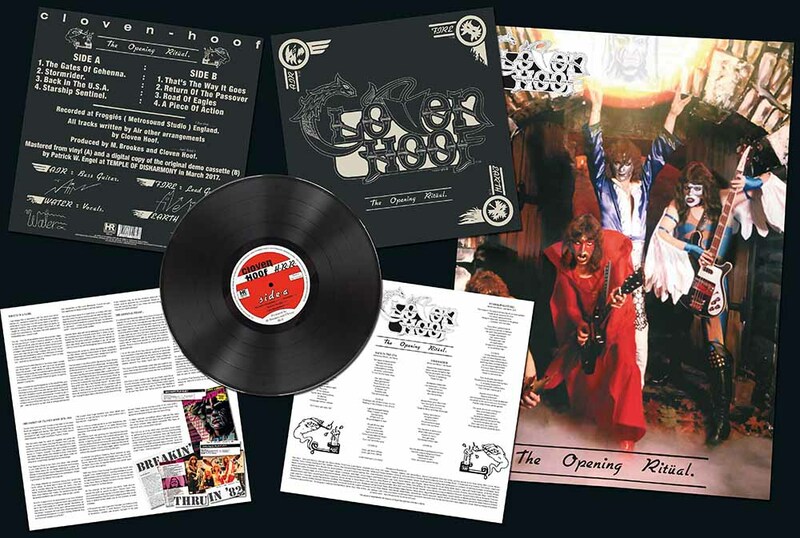 Ah… Cloven Hoof, back in the days when they were a heavy rocking NWOBHM band that could have easily rivalled the likes of Iron Maiden and Angel Witch had they been given a bigger career boost when they seriously needed it most. Before they were well-known for the amazing power metal cult classic A Sultan’s Ransom, Cloven Hoof was an image-driven band with a working concept that was heavily focused on the four traditional world elements (Earth, Water, Air & Fire) — with founder Lee “Air” Payne on bass, Stephen “Fire” Rounds on lead guitar, Kevin “Earth” Pountney on drums, and Dave “Water” Potter on lead vocals. They also had their own interesting and unique stage outfits (Lee was, in fact, influenced verily by the likes of Kiss and he loved to read comic books and watch sci-fi movies in his childhood days) and their own backstories. 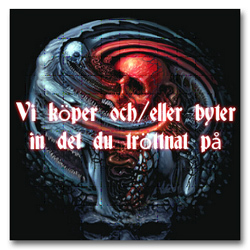 It was an interesting concept that was quite fresh at the time and thus it worked for the band. This re-release of ‘The Opening Ritual’ comes with their first four track demo and a previously unreleased track as bonus. Its hard to believe that this is just a demo, because the production sounded pretty damn good for a demo tape! The band mixed their first demo nicely, to get that pseudo-studio sound which took them to higher levels of the playing field since their eponymous debut two years later. The first song we are treated with is ‘That’s the Way It Goes’, which is one of the few Hoof songs to have never left the demo phase. The opening riff kind of reminds me of the song ‘Miracle Man’ by Sabre, because of its atmospheric delight. All four members are clearly audible throughout this song, which is pretty sad because this song sounds like it should have been re-recorded for their debut album. After that we get ‘Return of the Passover’ and ‘Road of Eagles’, both of which actually were re-recorded for future albums. While Dave was a great singer, I don’t think his low range singing can ever hold up against Russ North’s volcano-erupting, high-pitched vibratos, especially as observed on ‘Road of Eagles’. 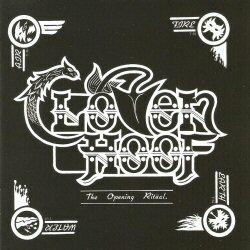 And last but certainly not least we get another Cloven Hoof song that never made it to a single full-length album nicely titled ‘A Piece of the Action’, which starts off with a very clean acoustic intro before jumping into pure metal riffage. ‘The Opening Ritual’ is a collector’s classic in the Nwobhm genre with strong tracks like ‘The Gates Of Gehenna’, ‘Stormrider’ and ‘Starship Sentinel’. ‘Back In the U.S.A’ doesn’t really fit into the other euro sounding tracks of Cloven hoof because its more American sounding. The band probably wanted to write a rock anthem. This lovely release also comes with a nice colour poster so I can highly recommend this release to any fan of 80s heavy metal. And even fans of early Bay Area thrash might also check this out, seeing as extreme metal is heavily rooted from NWOBHM.